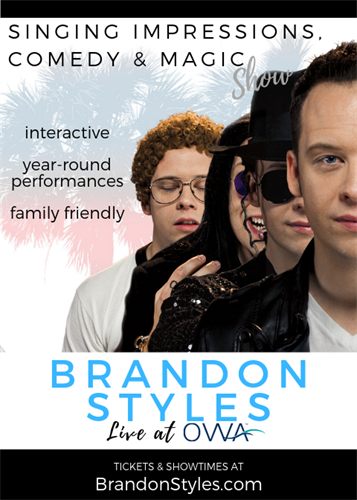 Alabama's Gulf Coast welcomes Brandon Styles and the 1st live production show! From Justin Bieber to Frank Sinatra this classy show has something for the whole family! You will be awed during Brandon's live performance of nearly 60 different celebrity singing & speaking impressions. Brandon Styles has incorporated the perfect amount of comedy, magic, dance, ventriloquism and audience participation into this fast-paced 60 minute Vegas style show!